Tower 1 work continues this month with exterior stone, roofing, and interiors. At the exterior, the stone work at levels 2-4 surrounding the curtain wall is complete. Scaffolding is currently being removed and shifted over to Tower 2 to begin stone work at the lower levels. 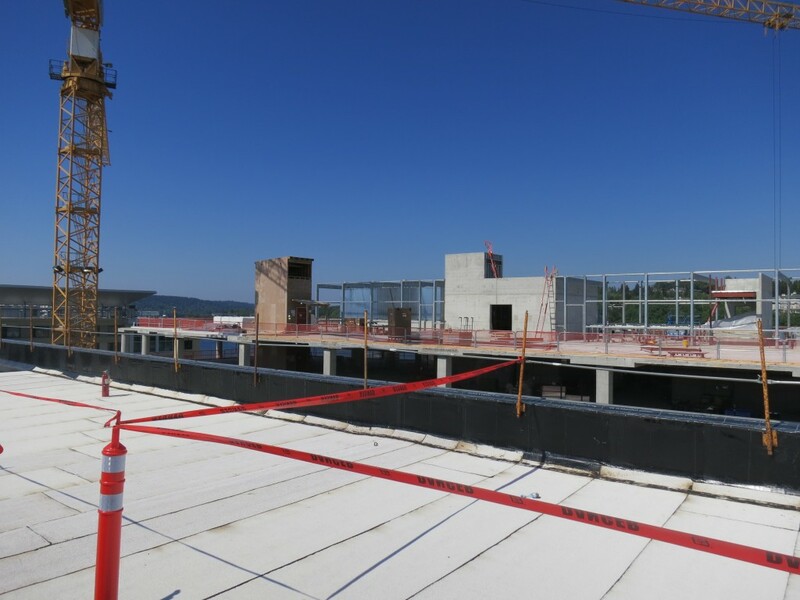 With good weather, the waterproofing at the main roof continues this month. 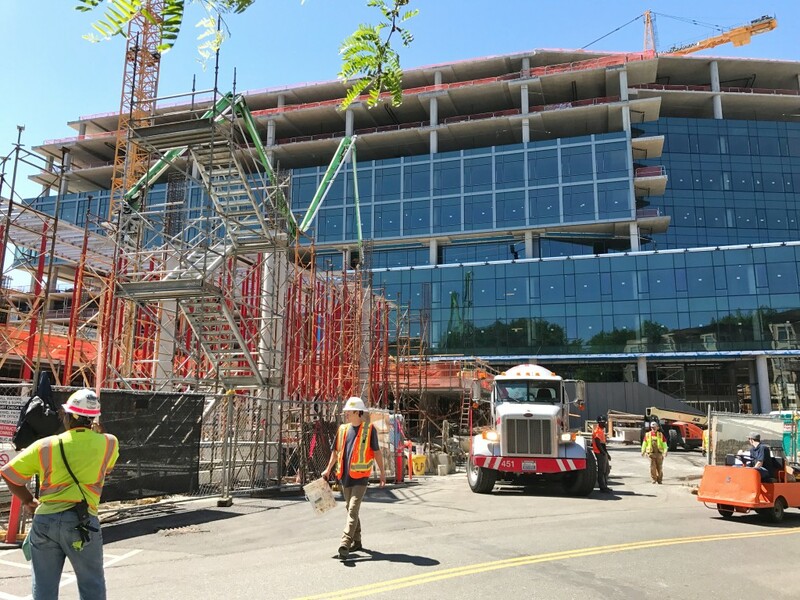 At the main lobby between Towers 1 and 2, preparation for the 2-story structural glass wall will finish up with the glass install starting at the beginning of June. This will be a true showpiece for the lobby and allow interior finishes to begin. With the ceiling framing and wall framing nearly complete, bulk sheetrock work will commence this week. Mechanical, electrical, and plumbing rough-in is ongoing up the Tower. 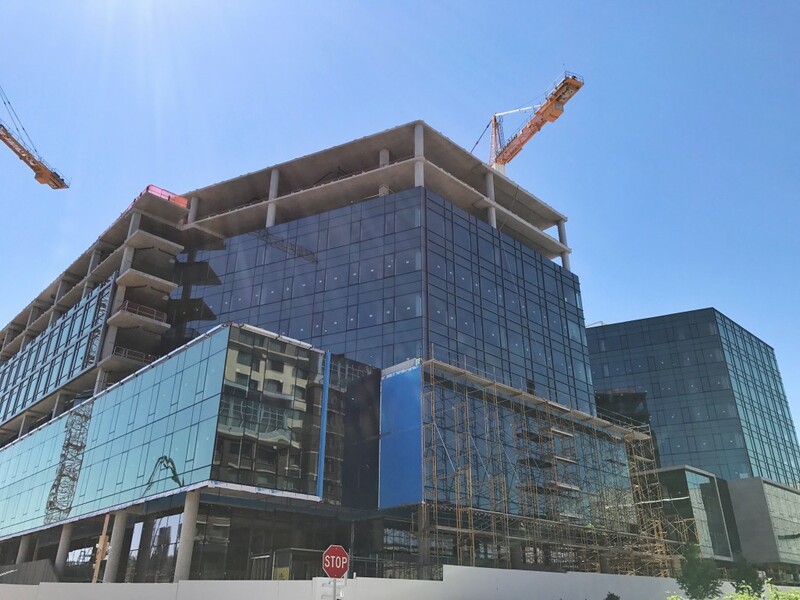 Tower 2 curtain wall is complete up to level 6. 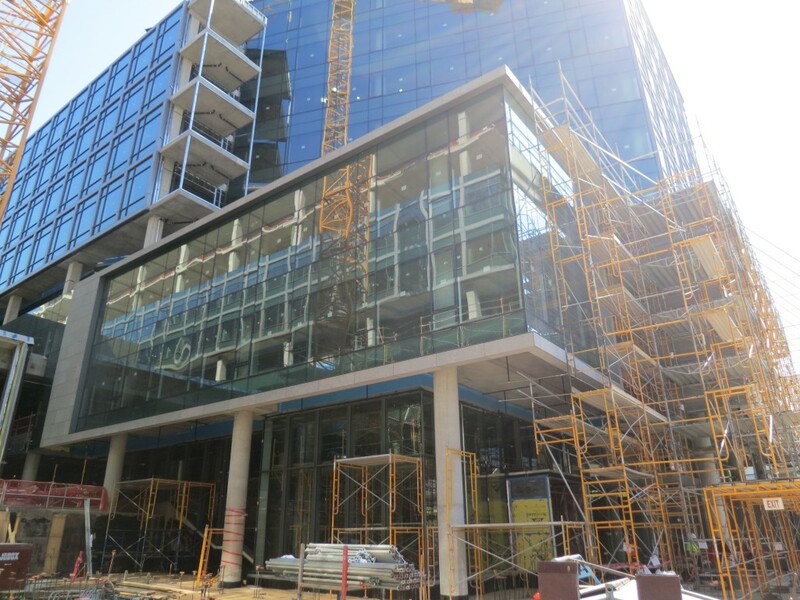 The curtain wall for this building continues up to level 9 and is on schedule to be completed by late June. Storefront windows at the lower level retail are complete as the entry vestibule framing and preparation for site work continues this month. 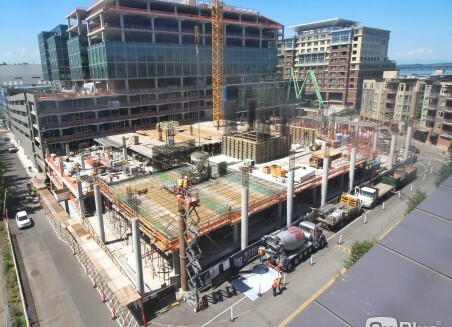 Framing in the Tower is complete to level 8 currently and mechanical, electrical, plumbing rough-in is ongoing. 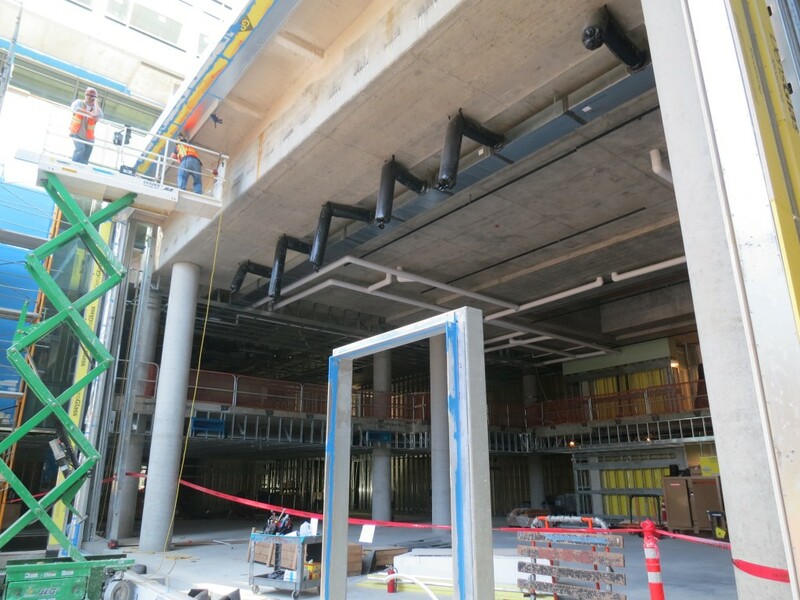 The structural beams for the elevator machines have been set so that the Tower elevators cars can be installed, as well as continued structural roof work at the penthouse for mechanical screening. 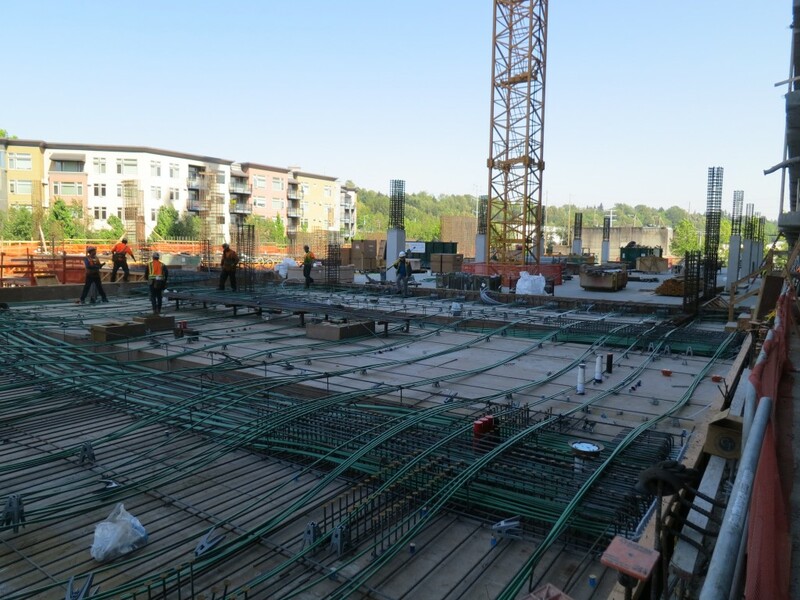 Tower 3 concrete decks continue this month and are on schedule to be completed by the end of 2018. 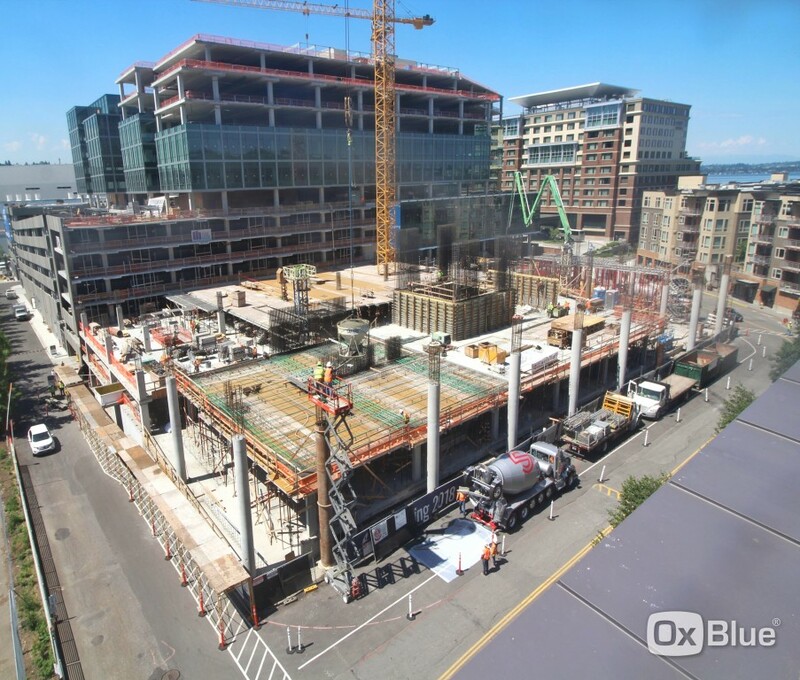 Currently, the concrete is being poured at level P2/Office level O1. Site prep has also begun for the very detailed and elaborate plaza area that joins the Tower living room to the Hotel porte cochere. Waterproofing is ongoing at the plaza with concrete planters to follow in June. The balance of the garage for self-park has approved by the City for operation and use. This includes approximately 1,000 stalls from levels A through levels F of the phase 1 parking garage behind Towers 1 and 2. 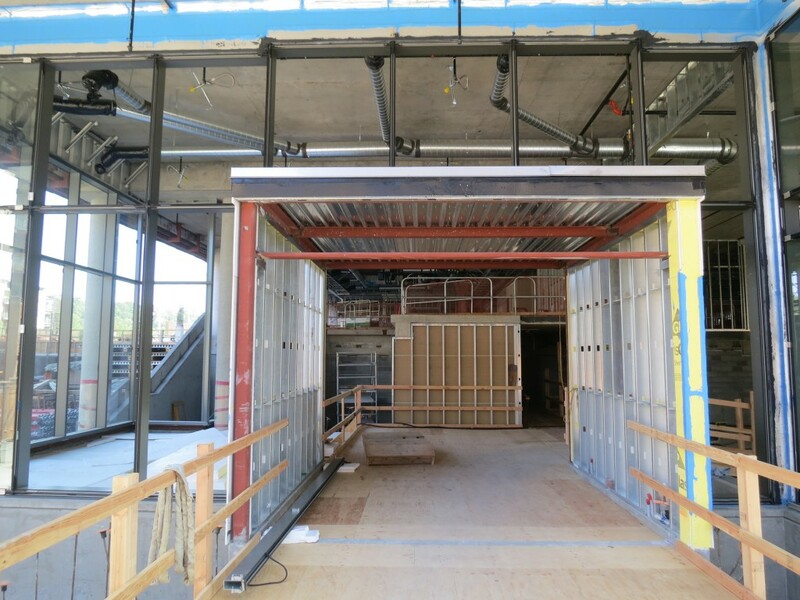 The elevator lobby storefronts will go in later this month to complete these vestibules and condition the space. 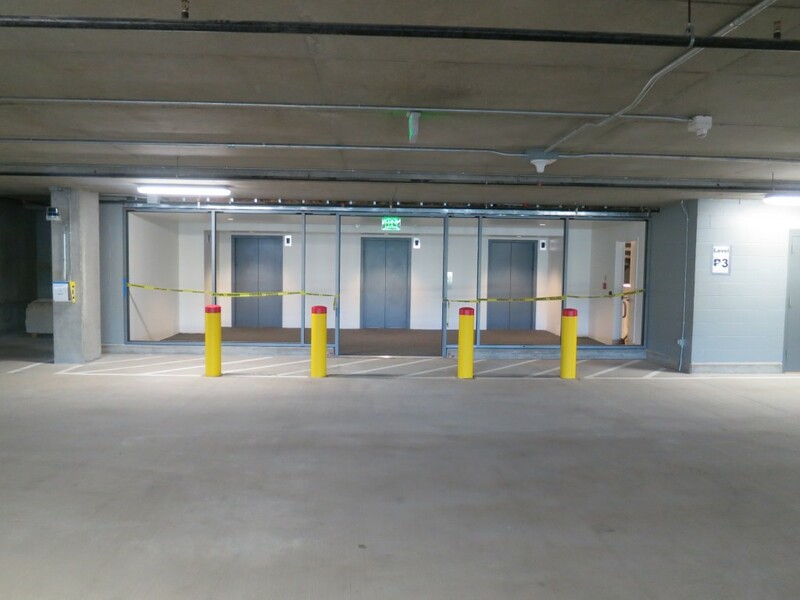 Signage will complete the wayfinding for this portion of the garage.